Policka, situated in the eastern part of Ceskomoravska vrchovina, is surrounded with the beautiful nature of Zdarske vrchy. The Czech King Premysl Otakar II founded the town in 1265, as a base of his royal power. 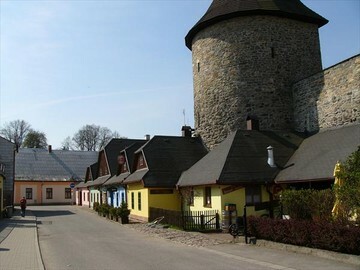 Nowadays is Policka commercial, cultural and tourist centre of the region. Among its historical sightseeing's is the unique, well-preserved town fortification with its 19 bastions. In the cultural world is the name Policka connected with the well-known composer of modern music Bohuslav Martinu, he was born there.